The Chalet Terme is located in Bormio, just a few meters from the “Bormio Terme” Thermal Spa whose waters make Bormio a very well-known holiday resort throughout the world. 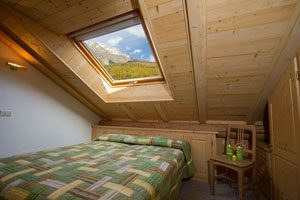 Located a few meters from the historical centre, the Chalet Terme is the ideal holiday home for those who wish to spend some pleasant days in Bormio both in Summer and Winter. Its proximity to the “Bormio Terme” Thermal Spa makes the Chalet Terme the perfect holiday solution for those who wish to enjoy the highly beneficial thermal waters of Bormio. 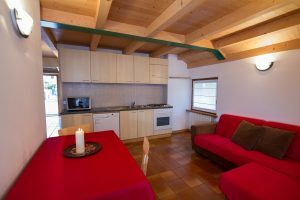 Relaxing holidays in apartments close to the Spa center of Bormio Terme! Thanks to its location, the Chalet is the ideal base to face up to the great Giro d’Italia climbing. The Stelvio Pass, the Gavia Pass and the Mortirolo Pass are just some of the climbs that can be tackled on the two wheels. Our Chalet is biker-friendly! You will find a convenient deposit where you can leave your bicycles. And for those who do not want to bring their bicycle from home, you can always rent it at “Bormio Ski & Bike” located just 100m from the Chalet! Subscribe to the Chalet Terme Bormio Newsletter to receive special offers and promotions for your summer and winter holidays at our discounted apartments only for our subscribers.